The Anambra State Governor, Willie Obiano, has decried reports that he was supporting the 2019 presidential bids of President Muhammadu Buhari of the All Progressives Congress and Atiku Abubakar of the Peoples Democratic Party. Obiano in a statement on Sunday by his Commissioner for Information and Public Enlightenment, C-Don Adinuba, said he was rather supporting the ambition of the presidential candidate of APGA, Gen. John Gbor, for 2019. Hey Buddy!, I found this information for you: "I’m Not Supporting Buhari Or Atiku – Governor Obiano". 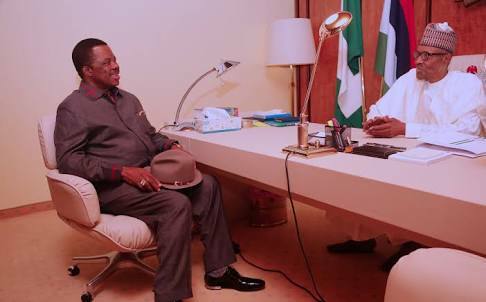 Here is the website link: https://headlinenews365.com/im-not-supporting-buhari-or-atiku-governor-obiano/. Thank you.